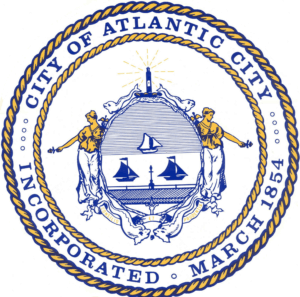 AC native appointed to become new casino commissioner! Alisa Cooper, a born and raised native of Atlantic City, is the newest commissioner to join the board. According to reports, she received her nomination on Wednesday by the Casino Control Commission. After her nomination by Chairman James Plousis, she expressed her gratitude and deep appreciation for the casino industry in AC. Having an AC native who values and appreciates the rich history in the AC casino industry is exactly who we need at the forefront of regulations. In fact, DGE does most of the regulating, but before you face them, you must pass the CCC for licensing. Either way, it’s the strict regulations in New Jersey that keep the market clean and attractive for businesses worldwide. With that said, Cooper now joins Chairman Plousis and Sharon Harrington to complete the three-member board. Cooper, who now lives 10 miles south of AC in Linwood, NJ, also has an impressive history with the commission. From 2005 to 2011, she served as a county freeholder. In 2012, she joined the CCC, now seven years later, she’s the commissioner’s new vice chairman. In conclusion, it’s a new year, and we’re bound to see several changes go into effect in the coming weeks. In fact, Ocean Resort Casino just sold the other day, and the new owners still need a license and have their identities made public. On that note, Connor will be among the first to know who the buyer is. Furthermore, she’ll be the first to see if they qualify for a license or not. And, we’ll soon all find out what’s next for Oceans!